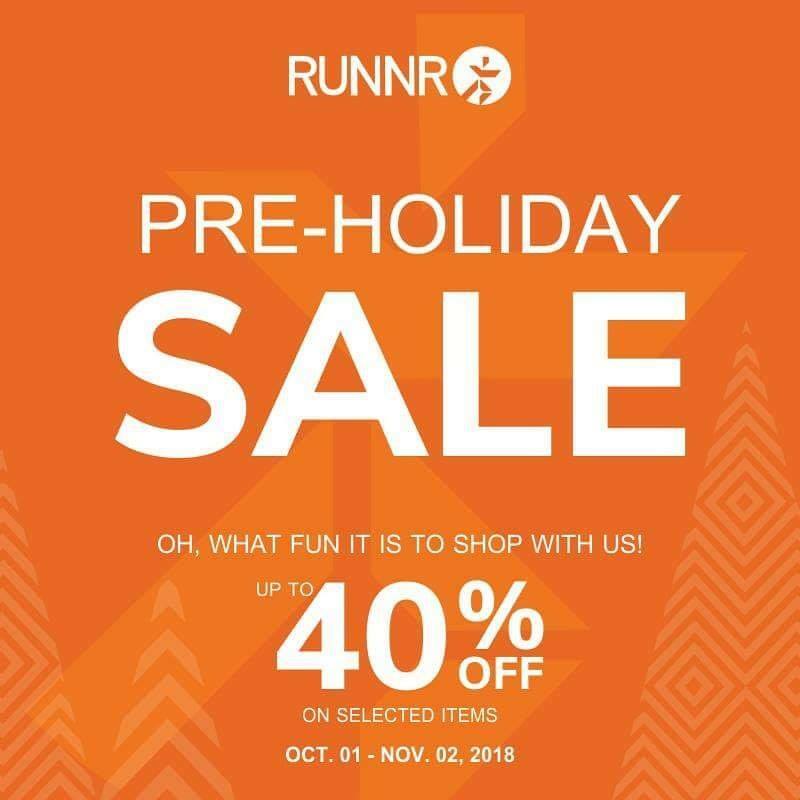 Check out RUNNR's Pre-Holiday SALE happening until November 2, 2018. Get up to 40% off on selected items storewide! 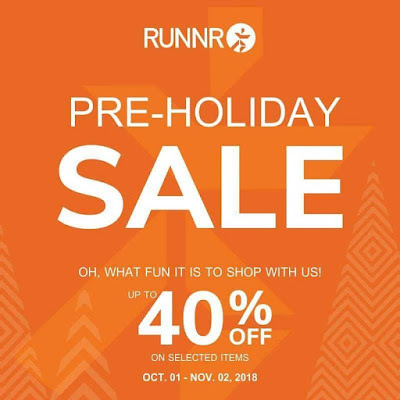 Heard over to your favorite RUNNR stores now!